I admit I do run a fluorescent light and a radio. But otherwise it’s just the sun, grass, cows, and me. Ain’t no energy greener than hand power, friends. My mom teaches art and would appreciate the non-symbolic drawing style here. 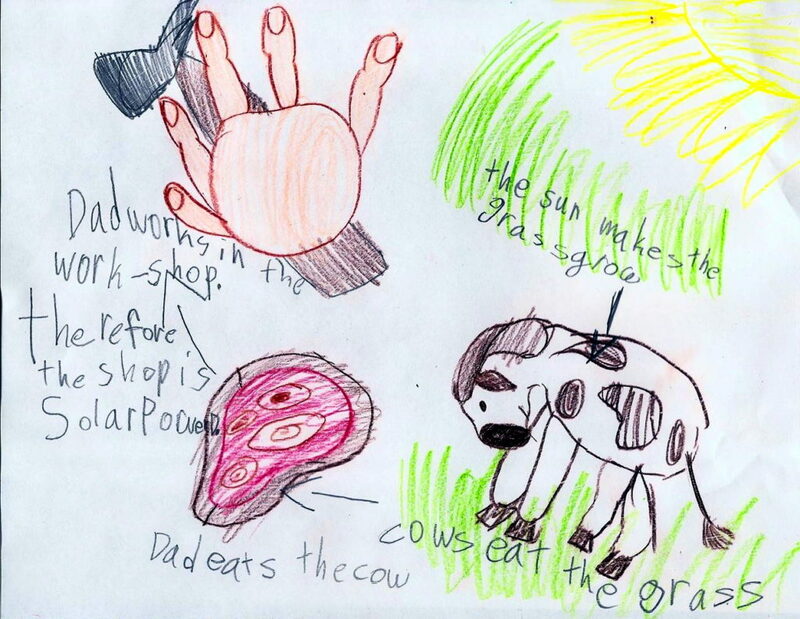 Your daughter is drawing a cow and a hand rather than the symbol representing a cow and hand- well done!